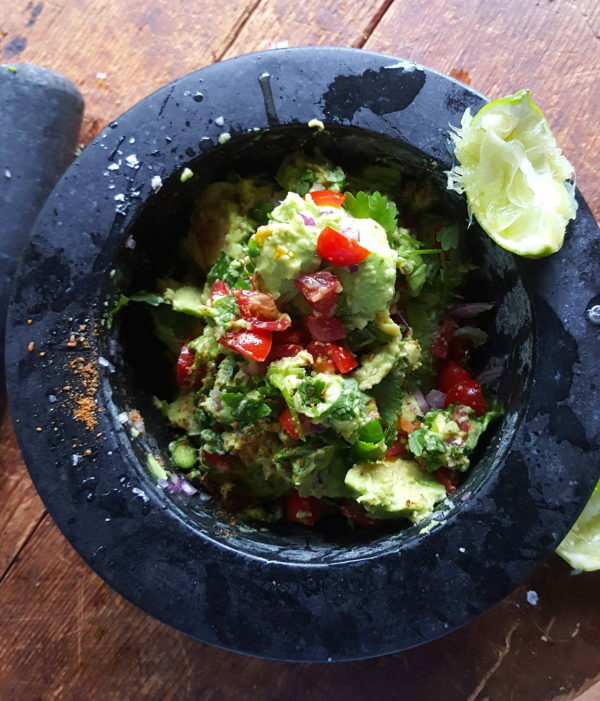 Guacamole is a classic ‘gotta-have’ with Mexican food as it works with so many dishes providing creaminess without richness, a hot and fresh bite and a gorgeous splash of colour. But don’t wait to cook Mexican before trying this – it’s fab anytime. Guacamole can be made by squishing ingredients together with a fork, or try this method. Mash chillies, cumin, salt and half the coriander in a mortar with a pestle (or finely chop by hand). 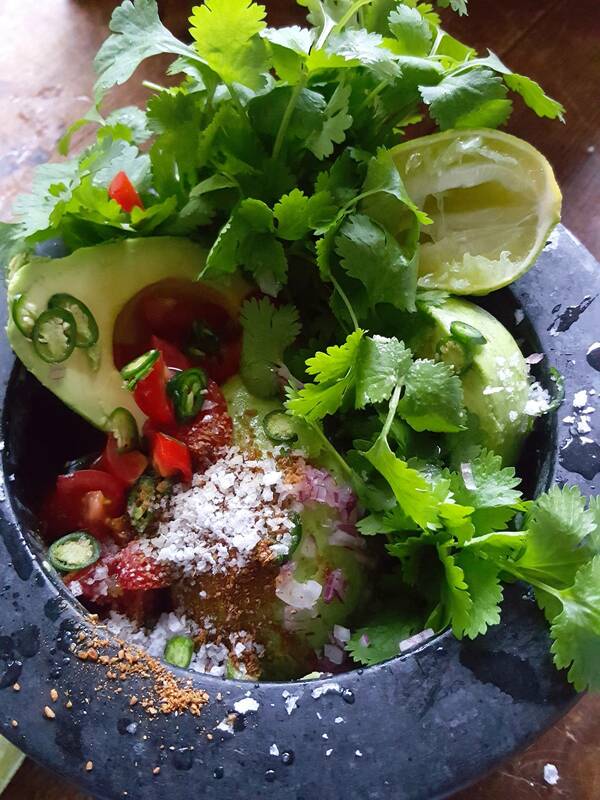 Add avocados, lime juice, onion, tomatoes and remaining coriander and semi-smash together, leaving it lumpy. Taste and adjust lime juice, salt and chilli – it should have a good fresh clean bite. If not serving immediately, cover the surface with plastic wrap and chill.